Often, a person may be required to participate in a physical program that could be intense and long in duration. In such cases, they might consider evaluating your fitness by an assessment from a medical doctor to determine your eligibility for such a program in terms of your cardiovascular health and your physical strength. Doctors are expected to conduct the assessment efficiently and put their advice and recommendations with respect to any limitations if the case may be. The clearance letter will clearly specify if the applicant is free to engage in the proposed activity; if there are any contraindications specifying against it; if there is a need to exercise caution; or if the applicant is unsuitable to participate. The medical clearance letter is a standard screening procedure for jobs and sports that require intense physical participation from the applicant. It generally includes standard assessment questions such as the applicant’s heart rate, blood pressure, health status, any restricted physical activity, any caution or limitations etc. 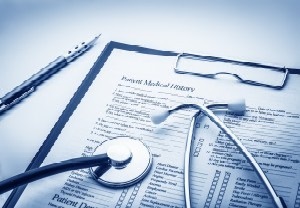 There are also certain conditions that require medical clearance before travel. This could be true for people who need long-term medical approval for traveling with an attendant; passengers who may be disabled due to a certain condition, patients suffering from certain allergies or medical condition that could be prevented by exercising caution and so on. 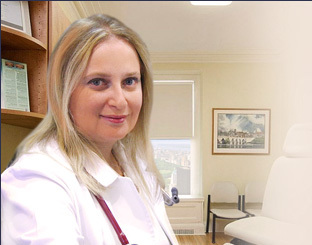 Manhattan physician, Dr. Gafanovich routinely performs medical clearances upon request. These can be for a particular sport or activity, and even some manual labor jobs many require a medical clearance post-injury so that an individual may return to work. She can act as the primary physician or provide a second opinion clearance. New York City Internist: We provide priority same-day pre-operational clearances and pre-employment clearances. Please speak with our New York Doctor’s staff to provide the requirements associated with the particular clearance required (flight, sport, return to work). Call us (212) 249-6218 to schedule your appointment with Dr. Marina Gafanovich, MD today.